Refreshers is CUSU’s event to welcome all our new January starter students, but also to welcome back everyone after the winter break with an exciting week of fun events to get you ready for the term ahead! 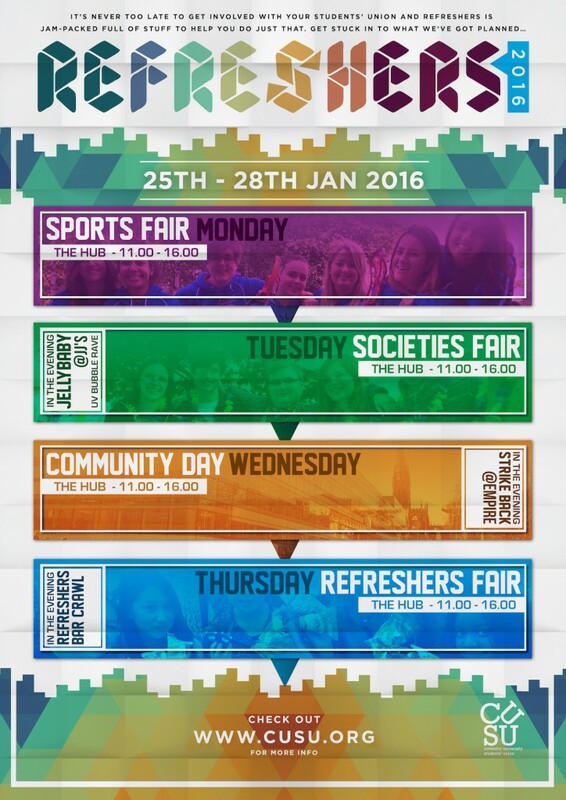 Refreshers 2016 runs from Monday 25th to Thursday 28th January. We’ve got a whole host of events planned, with something for everyone to get involved with. We’re showcasing our sports, societies, community involvement, and giving you the chance to get yourself ready for university with the Refreshers Fair, a chance to pick up freebies and get yourself set for student life! In the evening we’ve got some amazing chances to party and get stuck into a student tradition – going out on the town! Tuesday 26th is a special Jellybaby night at JJs, with a UV Bubble Rave planned, giving everyone the chance to dance the night away in their craziest clothes! Wednesday 27th is Strikeback at The Empire, the official sports social night out! Thursday 28th is the ultimate event of Refreshers, with the Bar Crawl taking place. Six bars, one night, all halls going head to head in an epic battle between students! Whether you’re a new face to Coventry or returning from your winter break, don’t miss out on the fantastic programme of events. 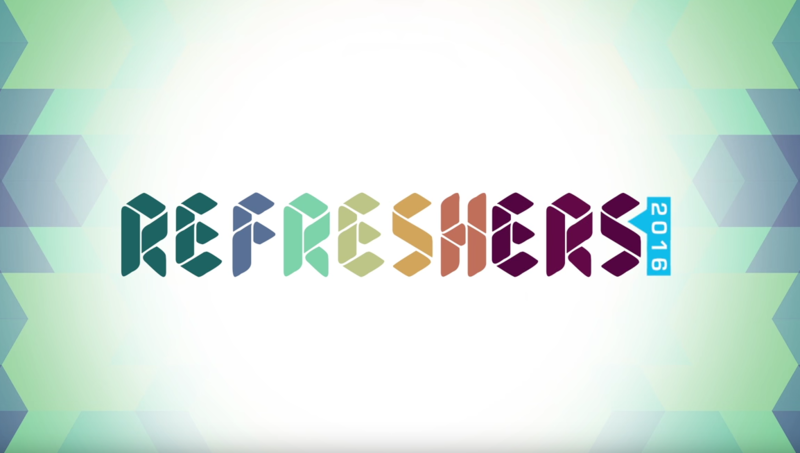 Refreshers is NOT to be missed! Visit http: CUSU: Refreshers 2016 for more info and see below for ticket information. Day Events: The Hub 11am – 4pm. Black History Month – What’s On?